When it comes to bridesmaid dresses Northwest Illinois brides know that brides and bridesmaids can find the dresses they will Adore at Adore Bridal & Specialty. We opened our doors in September 2011 with the vision of creating a complete gown-finding experience, for the wedding gown and the bridesmaid gowns. Whatever your wedding season, venue or colors, Adore Bridal can help you complete your wedding look. Are you looking for bohemian dresses or something more traditional? Do your bridesmaids have different skin tones and hair colors to consider? What season are you getting married in, and where is the venue? Will you pick out the fabric and colors and let your bridesmaids pick the styles that flatter them best? Are you working in a two-color palette? We at Adore Bridal know that there are many things to consider when shopping for bridesmaid dresses. Often, it is easiest to browse the web first, but you don’t want to order something without trying it on! Everything looks different on the hanger, so when you are ready to gather your girls and try on bridesmaid dresses, call Adore Bridal. 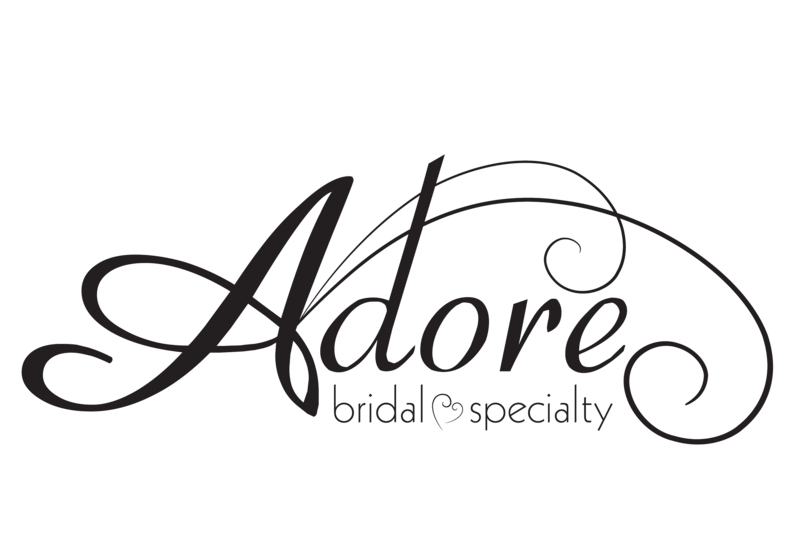 Schedule An Appointment With Adore Bridal Today! At Adore Bridal, you will get the chance to connect with your personal Adore stylist before your appointment. Then, your stylist will get to work and pull styles for your appointment. Word on the street is that we can find the perfect dresses for you before you even walk in our door! And the Adore experience doesn’t stop there! Accessories, tuxedos, wedding gowns and mother-of-the-bride gowns — Adore Bridal has it all! You can trust your personal Adore stylist to help put together your complete wedding look, and make sure you have a wedding you will Adore. When shopping for bridesmaid dresses Northwest Illinois brides should trust us first! Contact us online or call us today!